Acupuncture is a treatment that dates back to around 100 BC in China. It is based on traditional Chinese concepts such as qi (pronounced “chee” and considered life force energy) and meridians (paths through which qi flows). Multiple studies have failed to demonstrate any scientific evidence supporting such principles. Acupuncture involves the insertion of thin needles into the skin at multiple, varying locations based on the patient’s symptoms. 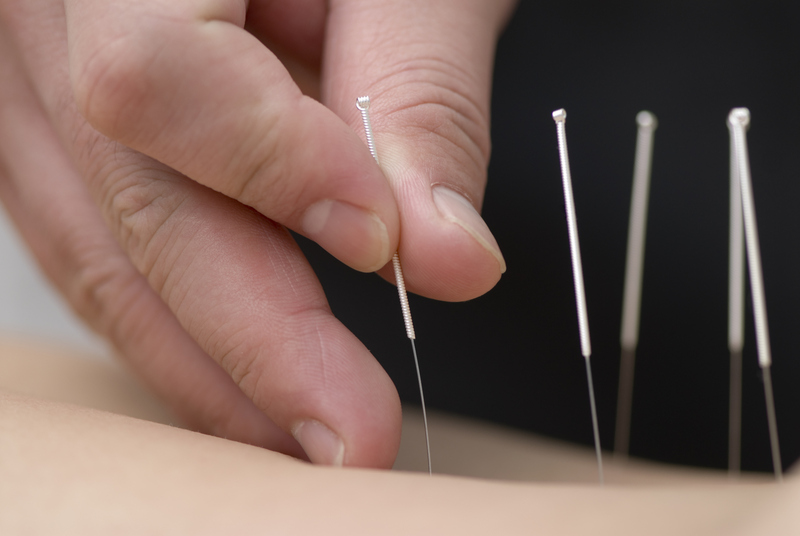 Once inserted, some acupuncturists hand turn the needles for added therapeutic benefit. Although there are many uses for acupuncture in traditional Chinese medicine, in Western medicine it is primarily used for the treatment of pain. At a time when people are increasingly concerned about drug side effects, some consider acupuncture an attractive non-medication option. Unfortunately, many studies show that the potential benefits of acupuncture are short-lived. 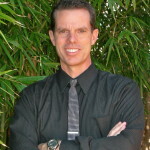 In my experience, I put acupuncture, massage, and chiropractic interventions in the same bucket. You may feel better for a day or two, but there is limited lasting improvement. In one study, 249 people with migraines occurring two to eight times per month received either acupuncture, sham (fake/placebo) acupuncture, or were put on an acupuncture waiting list. The two treatment groups received treatment five days per week for four weeks. Twelve weeks after treatment, the acupuncture group had on average 3.2 fewer attacks per month, the sham acupuncture group had 2.1 fewer attacks per month, and the wait-list group had 1.4 fewer attacks per month. These results are modest at best, and carry an approximate treatment cost of $2,000 per month (estimating $100/session x 20 sessions). This figure does not include lost income from time away from work to attend appointments, travel costs, pain from the procedure, and recovery time. At a cost of around $100 per treatment, and with sessions that can last over an hour, acupuncture treatments can be limited by both time and cost. Some patients may confidently argue that they do not mind the cost, because their insurance plan covers acupuncture. I would caution those same patients that money does not grow on trees, especially in the health insurance forest. If money is spent on one expense, it cannot be spent on something else. A plan that covers acupuncture may include fine print about excessive co-pays or limited coverage for basic medications. In some cases, covering acupuncture or massage may affect other patients in the same pool. Imagine if everybody received free massages, but in turn a cancer patient’s lifesaving chemotherapy becomes unaffordable. Although this is an exaggerated example, it does demonstrate the economics of health insurance. Side effects are not just limited to medications; procedures can also have negative effects. Acupuncture is relatively safe when the practitioner uses single-use, sterile needles with a clean technique. Side effects can include skin infections, bleeding, and pneumothorax (collapsed lung) if the needles are inserted too deep in the chest. Physicians sometimes perform acupuncture, but medical training is not required, and the qualifications to secure a license to practice acupuncture vary by state. It is probably worth the added expense to have a more experienced and/or highly credentialed acupuncturist. The Long-term Effect of Acupuncture for Migraine Prophylaxis, A Randomized Clinical Trial. JAMA Internal Medicine, 2017. Is there any scientific evidence to suggest that acupuncture works? Dr. Anna Lee in Oxnard, California. She’s older and has been doing this for years and learned from her family, as it’s been passed down etc. She doesn’t do acupuncture (although she’ll do acupressure as needed- and boy, it’s a b**** but sure helps). She does herbs only (and tells you how to make the tea- it’s easy if you have an electric pot). She improved my thyroid, kidneys, hormone levels, chronic pain, etc. All showed up on my blood test. MD told me to keep going to her. I just got lucky finding her. This article is an embarrassment to the author. The overt bias against acupuncture and thinly veiled contempt he has for anything other than his own treatment methods is a shame. What a missed opportunity for a balanced discussion of various treatments for migraines. Cochrane Reviews, one of the most respected sources of evidence-based medicine has this to say about acupuncture for migraine prophylaxis: “Bottom Line The available evidence suggests that a course of acupuncture consisting of at least six treatment sessions can be a valuable option for people with migraine.” The Cochrane Review found that acupuncture performed as well as drug therapy for prophylaxis at time of treatment and at three and six months after treatment. Furthermore, those treated with acupuncture reported fewer adverse effects than those receiving pharmacotherapy. This Cochrane review is based on meta-analysis of randomized clinical trials, considered the highest form of scientific evidence. In his blog, the author ignores the body of scientific evidence and offers us instead the lowest category of scientific evidence- his unscientific opinion. His piece is a poorly informed, unabashedly biased, silly piece of writing. His piece adheres to no scientifically or professionally acceptable standard. I expect better from Harvard Health Publishing. I would encourage him to attend lectures at Harvard that is one of the most well respected physician acupuncture training programs in the country. As others have pointed out, yes, this is a Blog site and not a scholarly researched journal article. What IS represented here is one physician’s uninformed, poorly researched biased opinion, complete with passive aggressive “snarky” paragraph headers. Closed-minded opinions are his to hold, but please keep those opinions out of Harvard Health Publishing. I hope one day Dr. Mathews opens his eyes to a practice that has indeed been well researched, with a wealth of evidence-based research supporting the efficacy of acupuncture performed by seasoned, experienced clinicians. I would encourage him to attend lectures at Harvard that is one of the most well respected physician acupuncture training programs in the country. 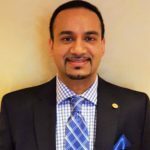 I am embarrassed for Paul Mathew for this article he has written. Without even checking references etc that he has discussed the tone of the blog is very much this man has a lot of hate in him. I am sorry that you have to put other people down to build yourself up. Possibly you are very frustrated that you have studied at Harvard and therefore should be a superior human being performing a superior medicine. But sadly find yourself not to be. Acupuncture is quackery. It’s good to see someone at Harvard finally question it. Now it’s time for Harvard employees to stop selling quackery to the public. One correction: There is no such thing as “Western” or “Eastern” medicine. There is only one medicine. You are grossly misinformed, not to mention incredibly closed-minded. Acupuncturist would want to go to town to condemn this article but the truth remains that, if the field has made any demonstrable advances, such must have scientific basis and testable facts. Time & cost in relationship to long term results are also very important variables in Orthodox Medicine of today. It’s not a matter of Western medicine; it global health at stake hear. Medical practice has to be evidenced based, else such practices remain traditional falacies. I see the authors point of view. It’s left for patients to decide. Oghenekevwe, anyone who values an evidence-based approach to medicine would rightly condemn this opinion piece. The problem is not that he was critical of acupuncture. The problem is that it’s based on uninformed opinion and anecdote and completely ignores the scientific literature. A recent network meta-analysis on all drug treatments for migraine prophylaxis finds that most drugs are ineffective and that those that are more effective than placebo have effect sizes comparable or smaller than the one he described as unimpressive for acupuncture compared to active sham control (Jackson 2015) while in head to head trials, acupuncture frequently outperforms drugs (Linde 2016). He also failed to mention that he receives money from Botox. This misleading blog post by a conflicted physician does not help patients make informed decisions about their treatment options. “It’s not a matter of Western medicine; it global health at stake hear (sic).” Precisely. Some (needed) perspective here: For one thing, this trail was done in China where they have socialized medicine at little or no cost and they prefer to treat nearly daily as acupuncture is so safe it is better to err on the side of over-treating. The treatment takes 20-30 minutes. In the U.S., experienced acupuncturists would stretch treatments out to perhaps twice a week to start then decreasing to once weekly or every other week and many will get as good or better results with fewer treatments. And if insurance routinely paid for acupuncture as happens for many less effective medications and PT the cost would not be a big factor. What this doctor should be doing is advocating for insurance to cover acupuncture as it is shown to be more effective and safer than what insurance is paying for now. The text below this comment thread states that ‘this blog aims to provide reliable information’. This article most certainly does not do that. It is anecdotal, largely unreferenced, and clearly biased. Hopefully nobody will fall for this blatant misinformation. 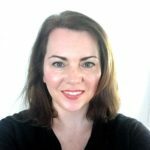 This blog post, which is essentially unsupported opinion, is completely contradicted by the clinical literature on migraine, which shows an excellent benefit to risk profile for acupuncture and a disappointing one for conventional treatments that the author is advocating. According to published data on doctors receiving pharmaceutical money, Dr Mathew has received money from Allergan, the makers of Botox. That being the case, why isn’t there a conflict of interest declaration at the top of the piece? Does this blog have any standards for academic integrity? You’ve published many articles on conflict of interest and how it adversely affects patients. Ironic that you would then perpetuate the problem and allow patients to be mislead about their treatment options. CoI: I am an acupuncturist. How does this sort of essay pass muster with the editorial board of Harvard Health Publishing? Is Dr. Mathew aware that Harvard hosts a rigorous acupuncture training program for physicians that includes extensive literature review? That program, as well as other programs approved by the American Board of Medical Acupuncture, hosts many highly esteemed physician and scientist contributors, offering well rounded, safe, and effective approaches to health utilizing acupuncture. Acupuncture is effective, it is based on science, and patients benefit from it. I agree with the previous commenters. Dr. Mathew is quite obviously biased in the science that he cites (and doesn’t cite or is unaware of) and uninformed on Oriental Medicine and acupuncture health outcomes. Sounds like he is trying to drum up more business for himself. Yes, this is only a blog and not a peer-reviewed journal, but I would expect higher standards and greater quality from Harvard. I am disappointed to see something so poorly researched published by such a reputable school. Publication of such articles here creats so much misinformation about a very ancient medicin that dates back to 1000 BC not 100 . The side effects talked about here, very rarely exist and as the needling is much less invasive than medical injections, besides some little echymoses there are actually no other side effects in real practice. And lets talk about all side effects and costs of drug prescriptions and bottox injection etc. This author is misinformed on most of his points (no pun intended), and clearly has a biased agenda. Shame on him. Much misinformation about acupuncture in this article! Certainly not an objective look at this very effective treatment. Most patients seek out acupuncture because they haven’t had results with a Western medical approach. That’s why so many of us are in business. Unfortunately the author of this piece is not familiar with OM and acupuncture. In China, where Western Med is seen as S good practice only for emergency medicine (agreed) due to its invasive nature amongst other problems, patients are aware that they need to come in a few times a week for many months before their ailment is completely cured( in stark contrast to the pharma driven western medical world). So western medicine yes in an auto accident! OM yes for migraines, IBS etc.